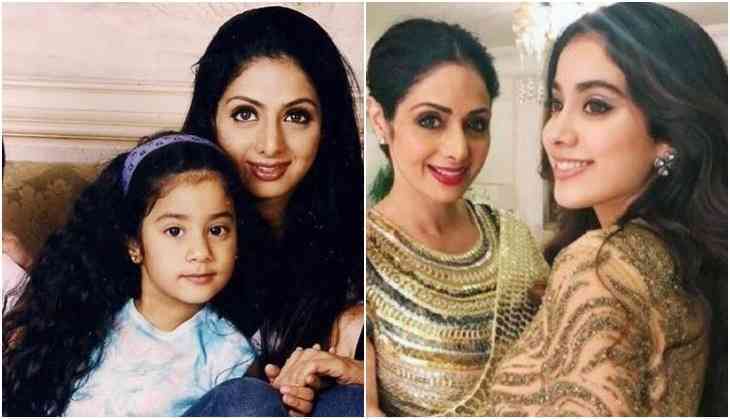 Home » Bollywood News » Did you know why Sridevi kept Dhadak actress and her daughter’s name Janhvi Kapoor? Did you know why Sridevi kept Dhadak actress and her daughter’s name Janhvi Kapoor? Bollywood veteran actress Sridevi, who was passed away on 24 February in Dubai’s hotel room. Her untimely death at the age of 54 due to cardiac arrest left everyone in pain and shocked. After her death, everyone was worried about her two daughters to whom she loved the most. However, Janhvi was already in the headlines for her debut film in Bollywood with ‘Dhadak’ opposite to Shahid Kapoor’s brother Ishaan Khattar. Currently, Khushi Kapoor has been away from the spotlight. But, Janhvi Kapoor can’t save herself from the paparazzi as they used to follow her wherever she goes. Being the daughter of legendary late actress Sridevi, everyone's eyeballs is at daughter that how would be her first appearance in Bollywood. Will she be famous like her mother or not? Earlier, Sridevi also expressed her feelings in an interview about Janhvi debut in Bollywood and said that ‘ I get scared about comparing my daughter to me.’ But she understands that her daughter will have to face such situations. Therefore, she calm down herself and suggests her daughter about it. Well, she is not with us but it was her dream to see her daughter debut film in Bollywood. But her dream remains a dream. Recently, Sridevi has been awarded a 65th National Award for best actress for the film ‘Mom’. The ‘Chandani girl’ has given the various superhits films to Bollywood industry and also completed a half-century in film industry. The actress has been seen various ups and downs in her career as well as in her life. After getting married to Boney Kapoor, her life completely changed and she had blessed with a girl named Janhvi. But do you know why Sridevi kept her daughter name Janhvi? No, then, we are going to raise the curtain from this secret. As per the reports, she named her daughter Janhvi after inspiring with the character of the actress in her producer husband Boney Kapoor’s film Judaai. Janhvi was the role of Urmila Matondkar in the film and she loved the character and decided to keep her daughter name Janhvi. The same has happened with the second daughter Khushi’s name. Father Boney Kapoor’s another film ‘Hamara Dil Aapke Pass Hai’ in which Khushi role was played by Sonali Bendre. Therefore, this was the reason that Sridevi selected the name for her daughters from their father’s film. We must say this was a unique style for selecting the names of her lovely daughters Janhvi and Khushi.